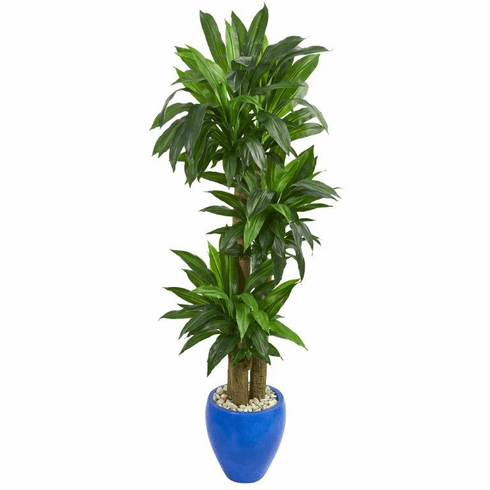 The lifelike artificial cornstalk dracaena stuns with three thick stalks topped with rich, realistic real touch green leaves. It almost seems to be growing from the bright, deep blue planter topped with natural river rocks. Use it to get an extra pop of color in your office; it really stands out against a beige or white wall. Size (Including Pot) Height: 6 Ft., Width: 25 In., Depth: 25 In.